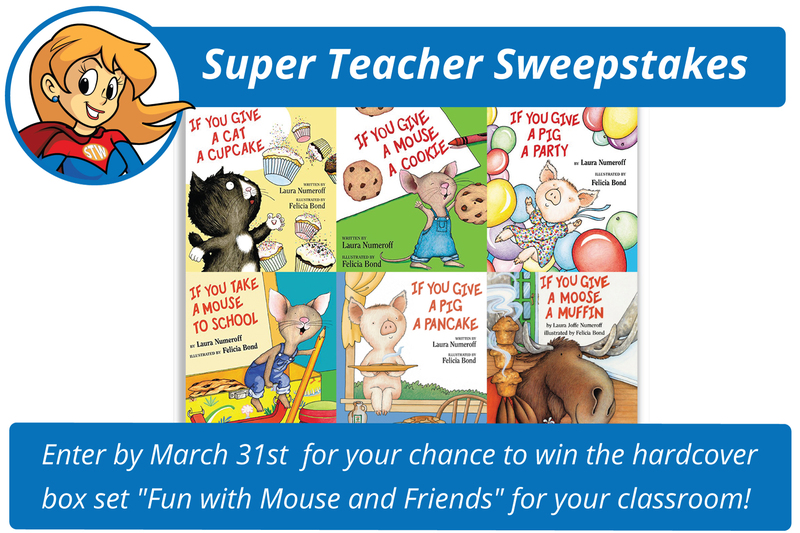 This month we're giving away a six-book set of Laura Numeroff's much-loved children's stories, including "If You Give a Mouse a Cookie," "If You Take a Mouse to School," "If You Give a Cat a Cupcake," "If You Give a Pig a Pancake," "If You Give a Pig a Party," and "If You Give a Moose a Muffin." Enter our free contest by March 31st for your chance to win! Go to the Super Teacher Worksheets Contest Page to put your name in the drawing. Good luck!